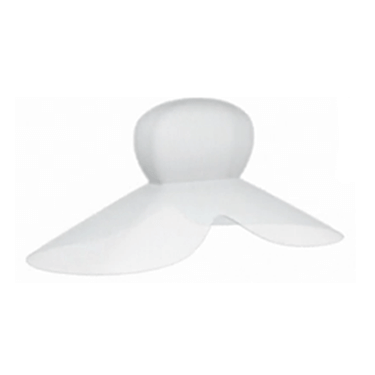 Top 10 Snoring Aids - Guides - Theravent Guides - What Is Theravent? Before we get into details and start explaining what Theravent is and how it works, it is important to note that this snoring aid is developed for nasal snorers. 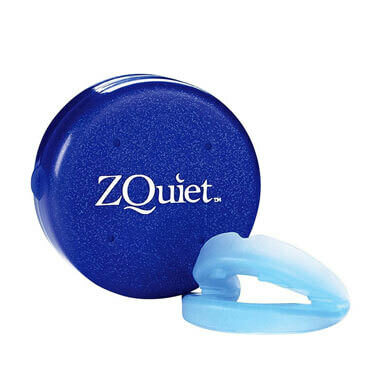 Therefore, if your snoring issues stem from oral airflow obstructions, this device is not built for you. 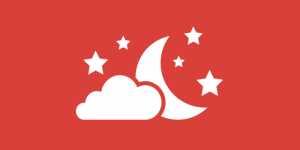 Now that we have got that out of the way, we will explain the functioning method, structure, and application of Theravent Advanced Nightly Snore Therapy. 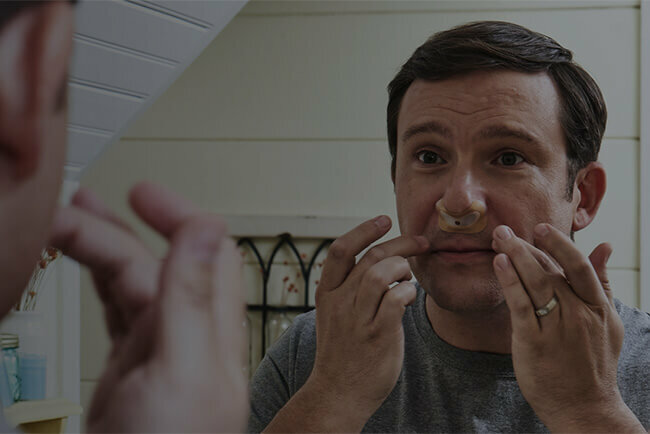 Theravent is a lightweight adhesive device that comes in the form of nasal strips that resemble a curvy Band-Aid equipped with two small valves that open up your nasal airway. Unlike many other nasal strips, Theravent is not placed on the bridge of your nose; it covers your nostrils instead. Just like a Band-Aid, it is not reusable, so you need to place a new strip on your nose every night. If you are familiar with the prescription device for obstructive sleep apnea known as Provent Therapy, you can already guess how Theravent works. Namely, it uses the power of your breathing to create expiratory positive airway pressure, or to put it simply, it elevates the pressure inside the nasal airway and thus eliminates blockages. Here is a simple illustration. Once you place the Theravent strip, the valves within the device are activated by your breathing. They open up as you inhale and close as you exhale. When they close, pressure builds up in the upper airway and prevents it from relaxing and causing vibrations. Due to its unique functioning method, Theravent is not suitable for people who cannot breathe through their nose due to congestion and similar problems. Theravent is perfectly easy to use. First, you make sure that the skin underneath and around your nose is clean and dry. You strip away the backing and press the strip against your nostrils, ensuring that it is not loose and that both of your nostrils are covered. You can practice using it while you are awake, breathing in through your nose and breathing out through your mouth. It may take a couple of nights to get used to it, but you should notice the effects right away. We suggest you opt for the trial package first, so you can try out all three versions of the strips: Starter, Regular, and Max. The Starter version, which is designed for first-time users, employs the lowest amount of pressure. It should help you get used to the device, but it is the least effective variety. 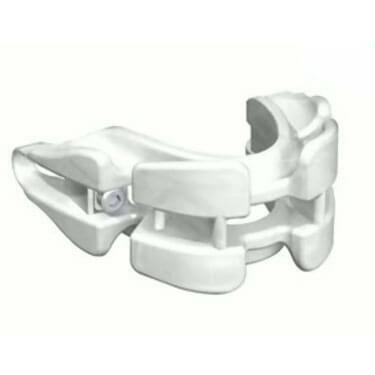 After the adjustment period is over, you can switch to the Regular strips, designed for moderate snoring. If they do not produce the desired effects, you can try out the Max strips for heavy snorers. 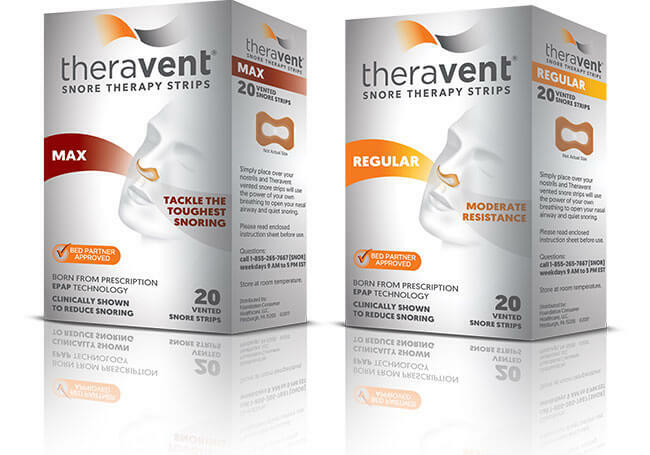 Theravent is not a universal snoring solution – it only works for nasal snorers who do not suffer from nasal congestion. However, it is highly effective, so if you fall into this category of snorers, there is a great chance that it is just the kind of snoring aid you need. Want to find out even more about Theravent? Make sure to check out our Theravent Review for detailed information about this VPN provider.